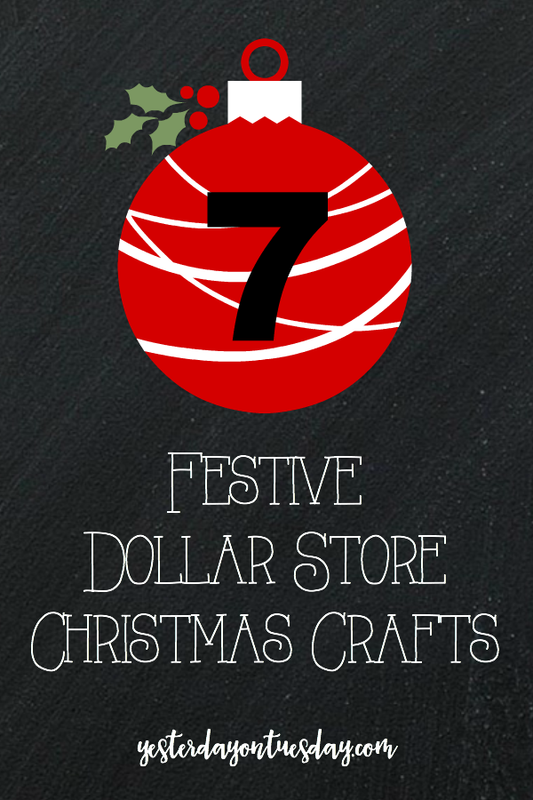 Christmas cheer doesn’t have to be expensive– check out these festive dollar store Christmas crafts and decor ideas. 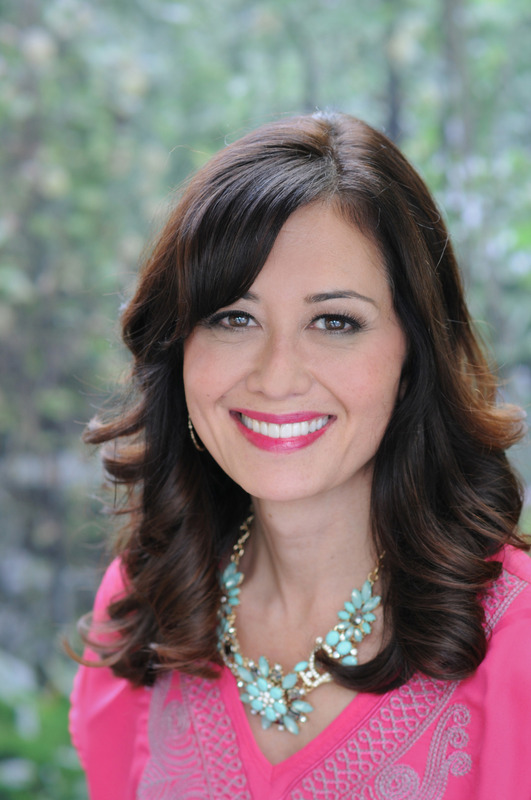 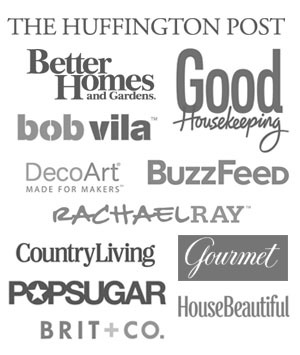 Here are some charming ways to stretch your holiday dollars! 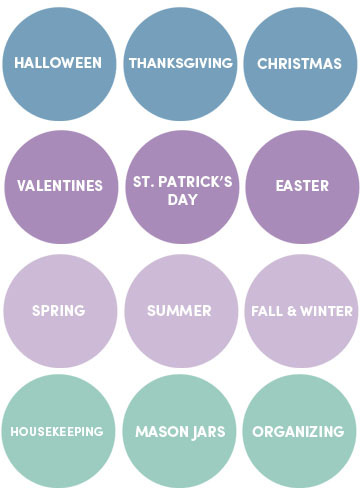 For a few bucks and a little creativity, you can whip up some amazing projects. 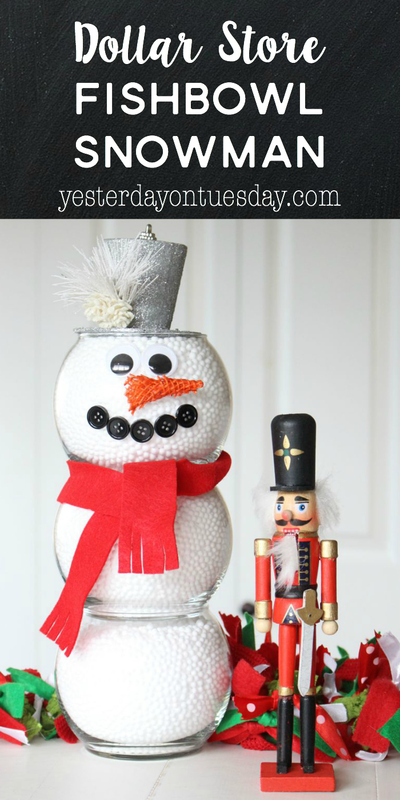 Looking for an easy and rewarding kid’s craft? 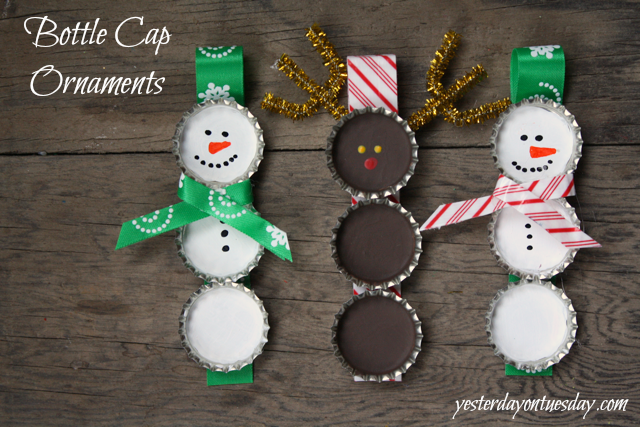 These Bottle Cap Ornaments fit the bill! Here’s a great way to make your home smell like the holidays– or put together this Scent of Christmas Air Freshener Gift for friends and family. 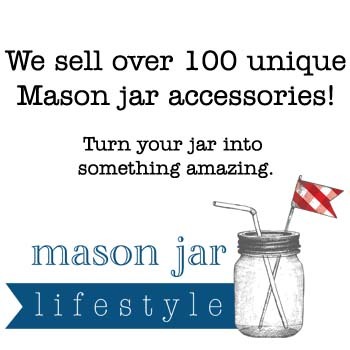 The dollar store is THE place to find those wonderful glass candlestick holders. 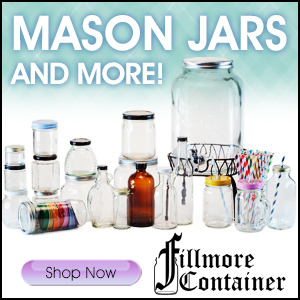 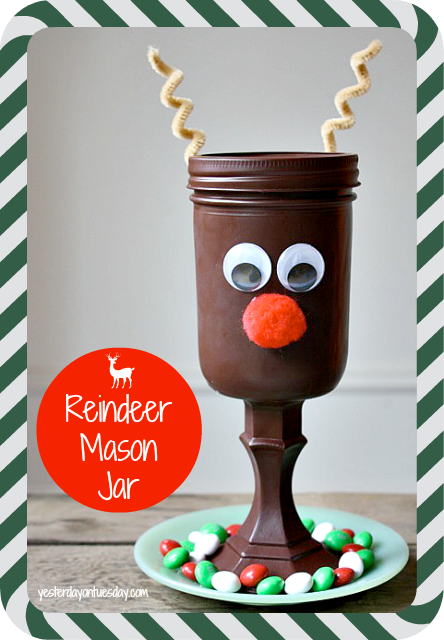 Grab one to make this Reindeer Mason Jar. 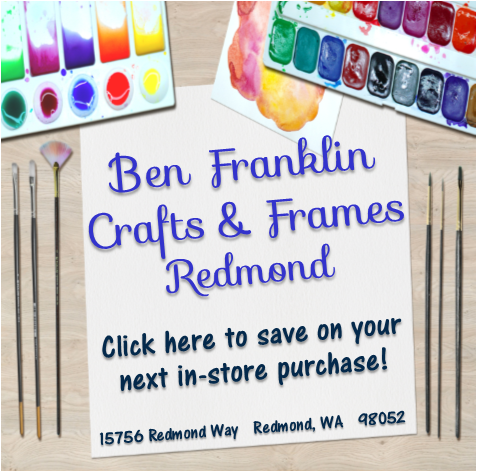 I love the pretty dishes you can find at the dollar store around the holiday season. 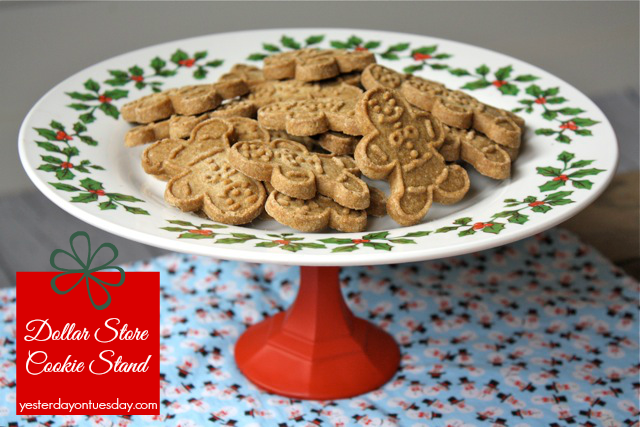 A plate plus a candlestick holder equals this lovely Dollar Store Cookie Stand. 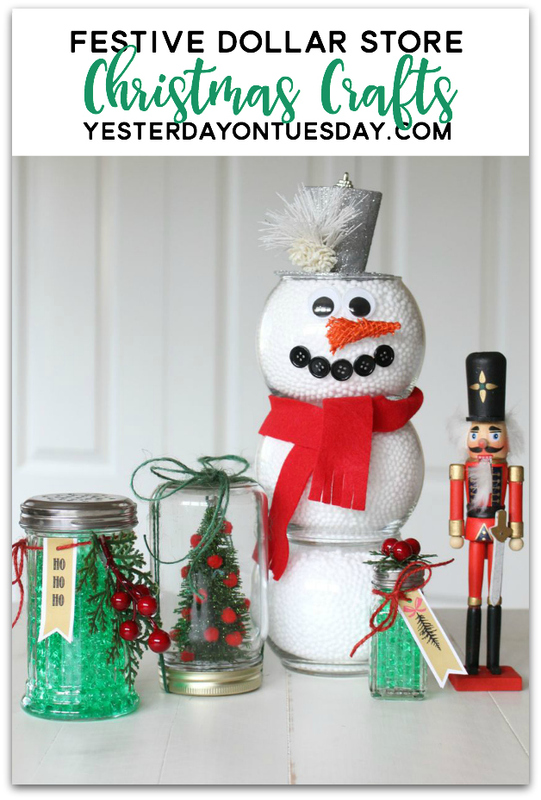 This Fishbowl Snowman adds a touch of whimsy to any space in your home. 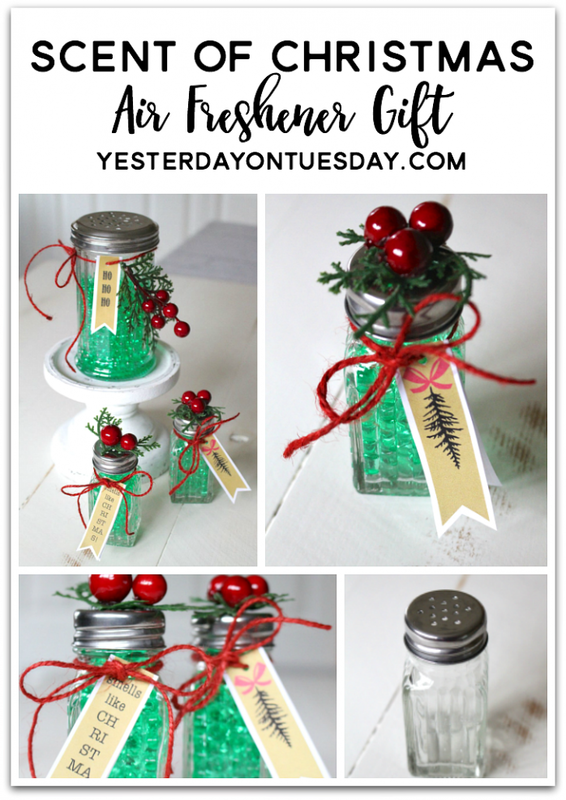 Here’s a thoughtful present idea: Dollar Store Christmas Tree Kit in a Mason Jar. 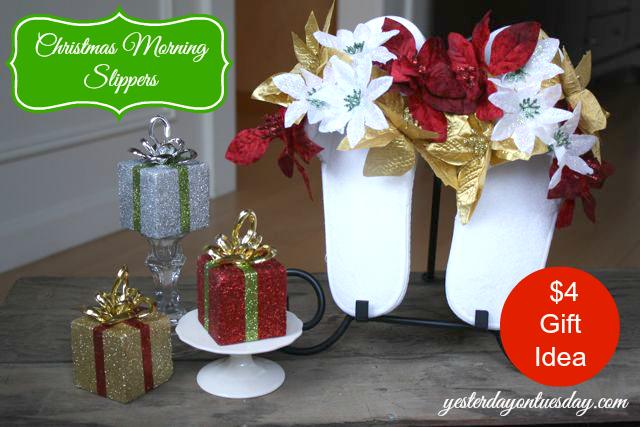 Finally, here’s what to slip on first thing on Christmas morning: Christmas Morning Slippers.